We've got a brand new kigurumi onesie costume to tell you about. It's a shark! As you can see from the photos above, this shark comes with the great white shark's trademark grey and white colour scheme, along with a massive set of teeth that run the edge of the costume's hood. It also features a dorsal fin which sticks out of the back of the costume, and sleeves which form the shark's side-fins (whatever they are called). 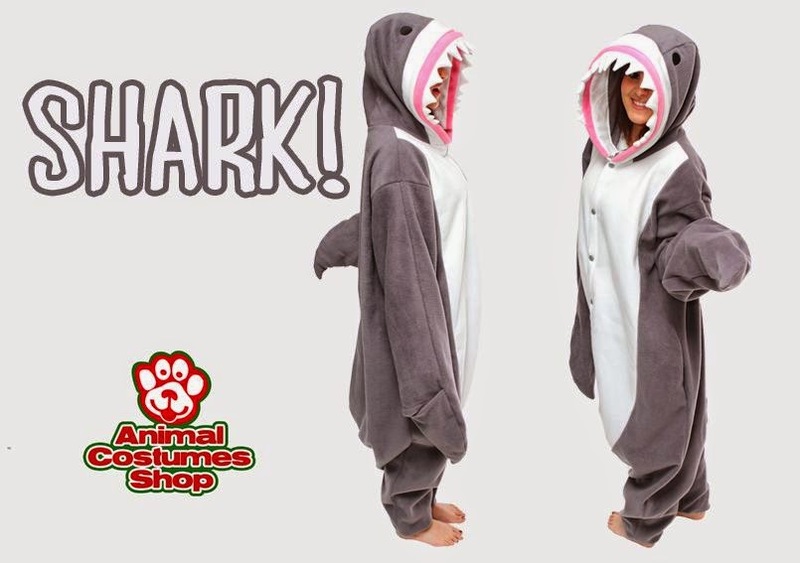 We're sure that this shark kigurumi onesie costume is going to be mega-popular, so if you want to buy one from the first batch swim on over to www.animalcostumesshop.co.uk/shark-kigurumi-costume-15698-p.asp now.